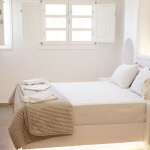 Τhe Cycladic-style Paraporti Superior rooms without Veranda are located in Chora Folegandros, Cyclades – Greece. Their main feature is their privileged location. 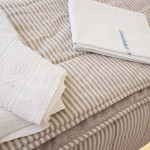 Paraporti Superior apartments with and without veranda are 10 steps away from an amazing view to the Aegean sea and too close to the old town of Folegadros which gives visitors the opportunity to enjoy peaceful and relaxing holidays. Paraporti Superior without veranda are located on the first floor with unique decor, a double build in bed and subdued lighting everywhere which gives a special romanting feeling. 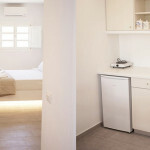 It is equipped with with a full equipped kitchen, bathroom with hair dryer and free toiletries, satellite tv, free wi-fi, iron, air condition and safe box. Visitors on booking can also request free transport from and to the port.